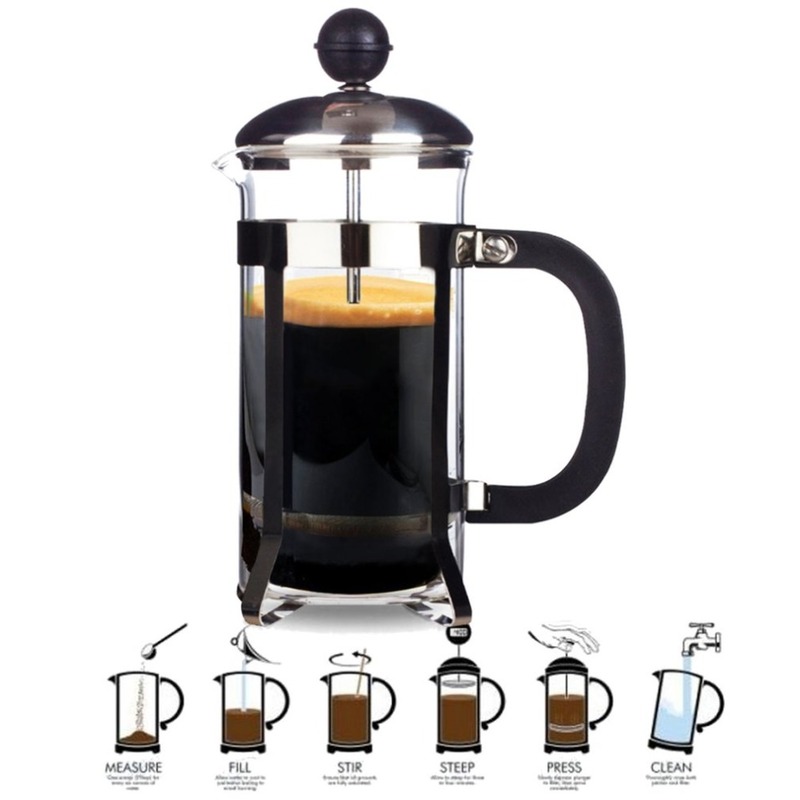 FREE SHIPPING AVAILABLE IN THE CONTINENTAL US! 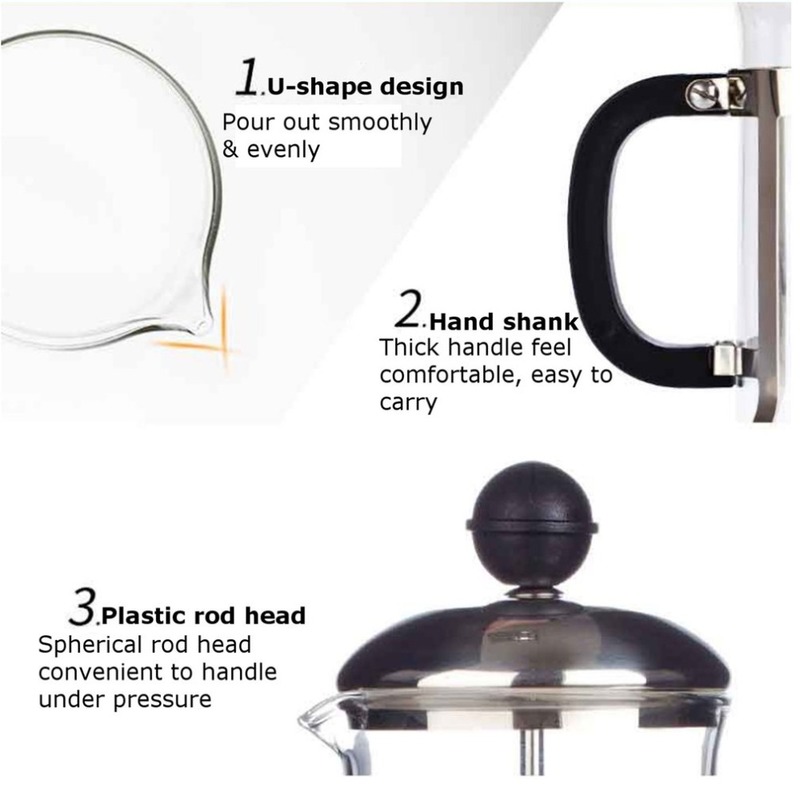 Sleek and elegant modeling design. 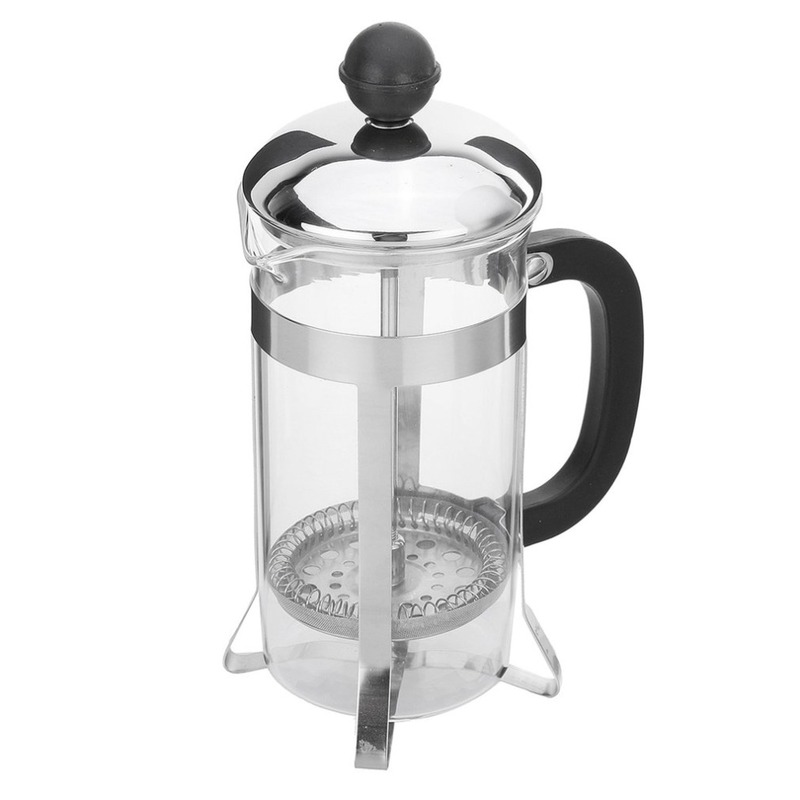 Stainless steel and heat-resistant glass, durable & beautiful. 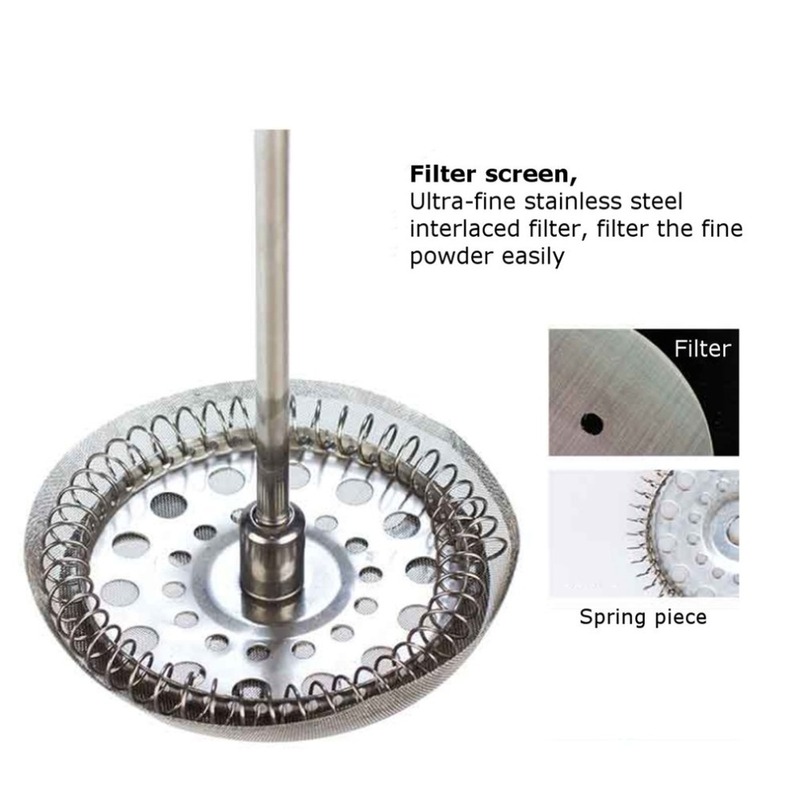 Stainless steel filter filtered coffee & tea more better. 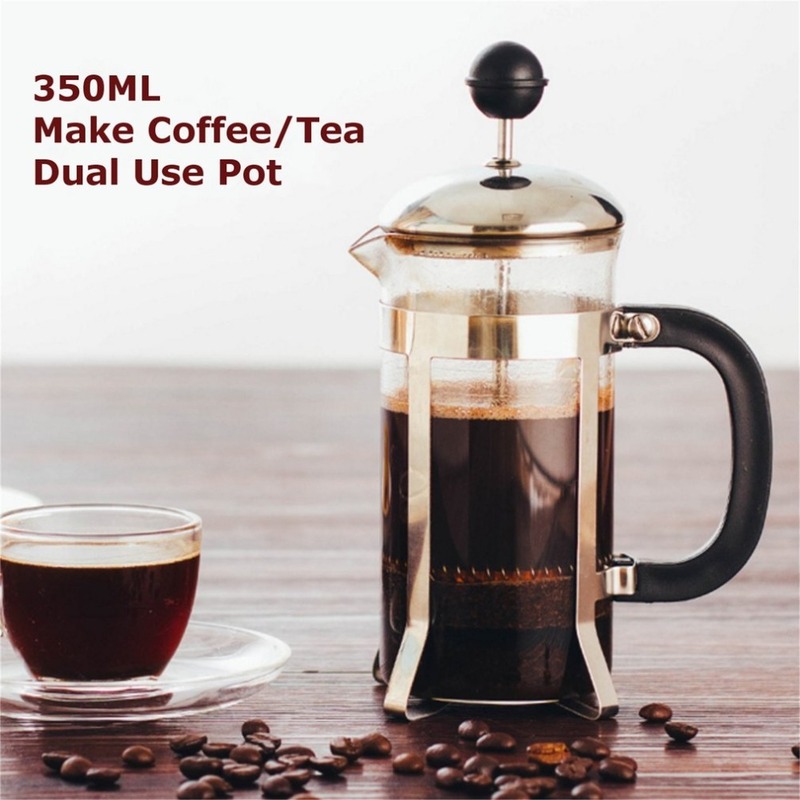 Suitable for making Tea, Coffee, etc. 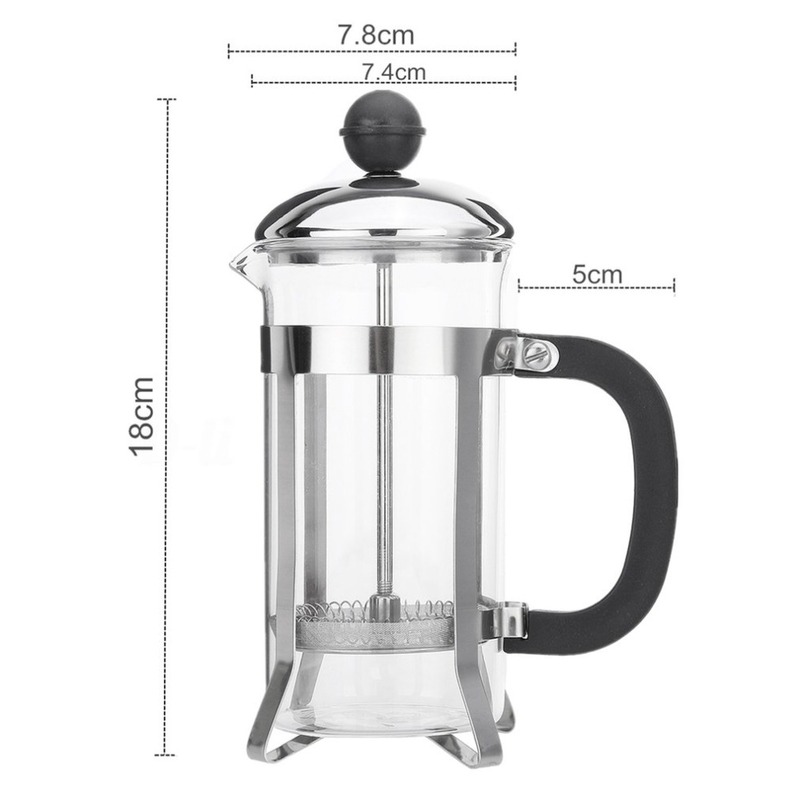 Made of high quality heat-resistant borosilicate glass, very durable for use. 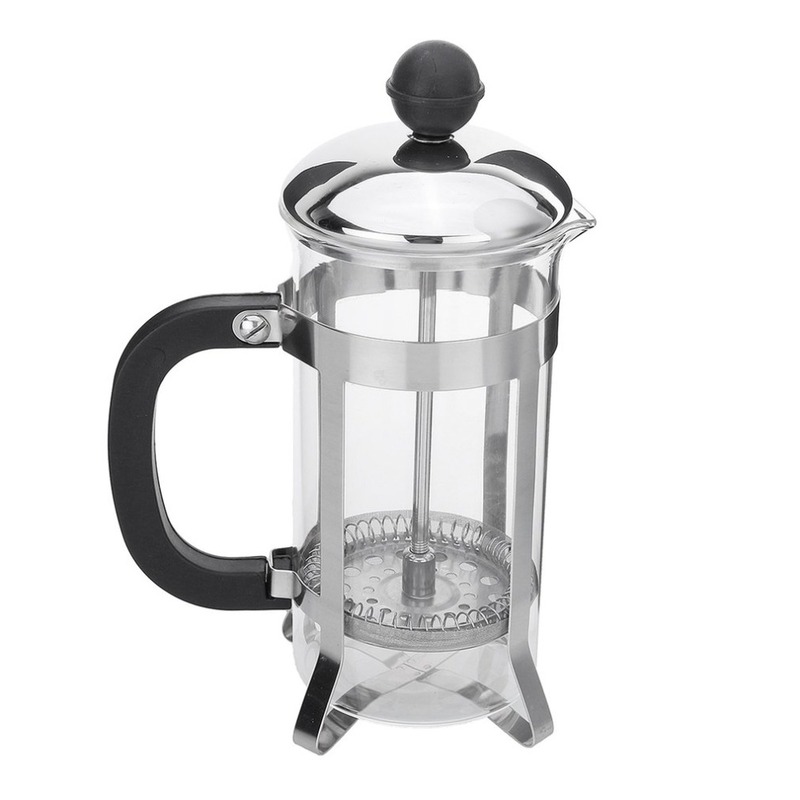 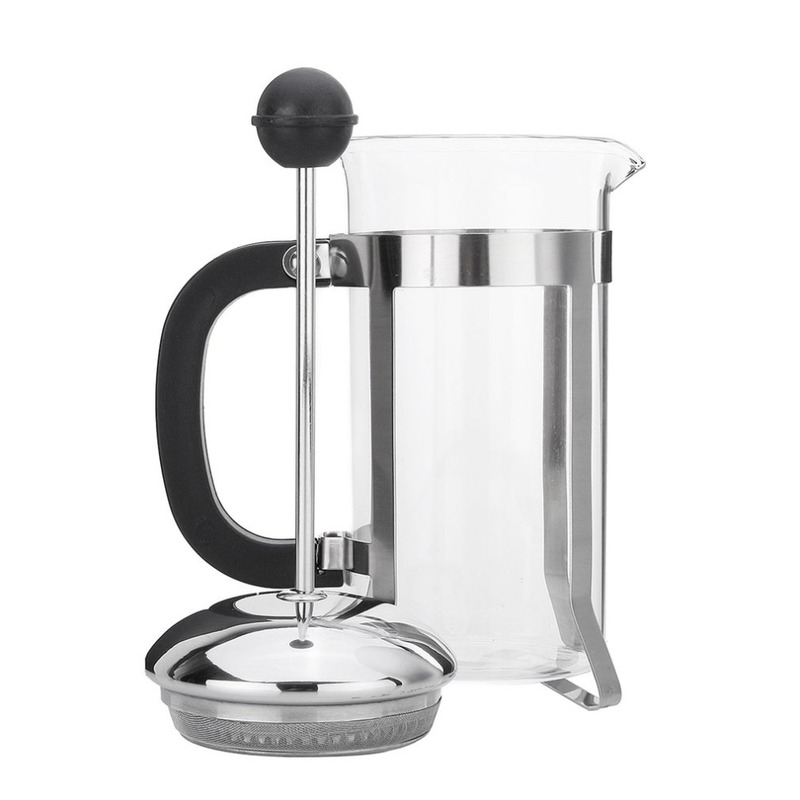 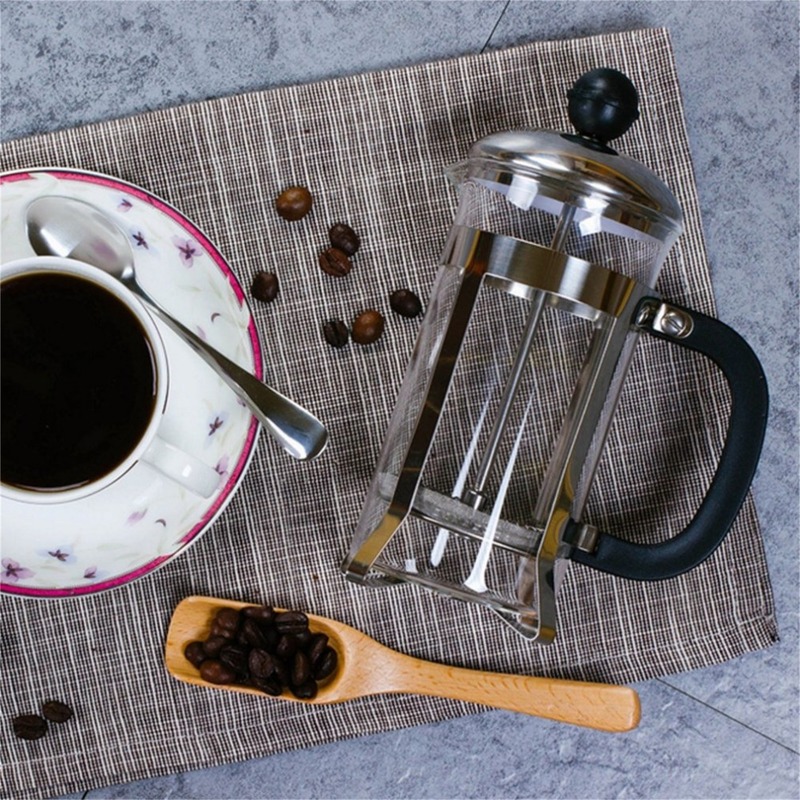 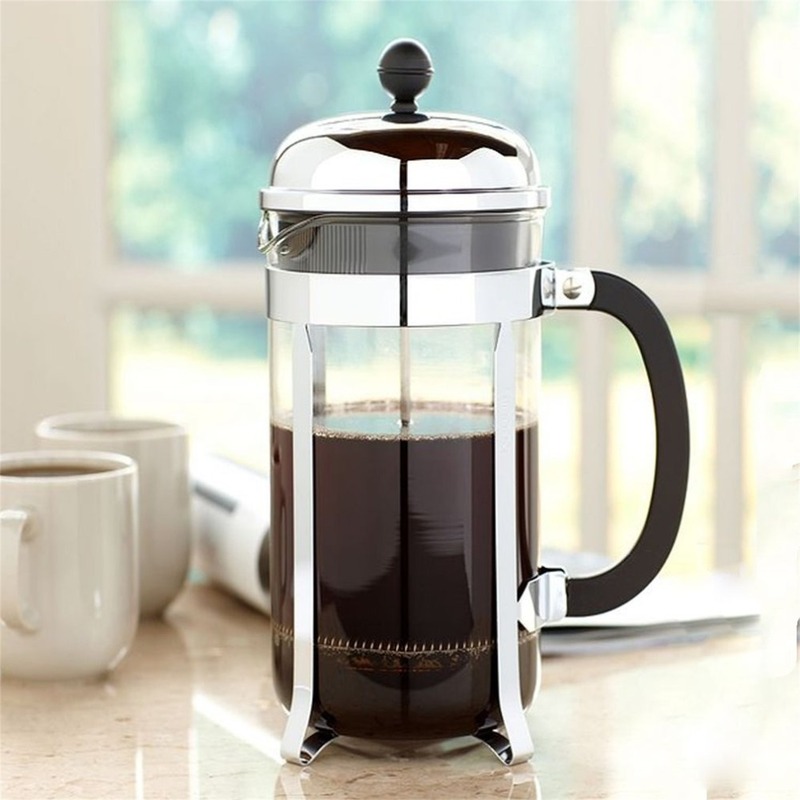 Have your coffee in style with this compact stainless steel French press coffee pot! 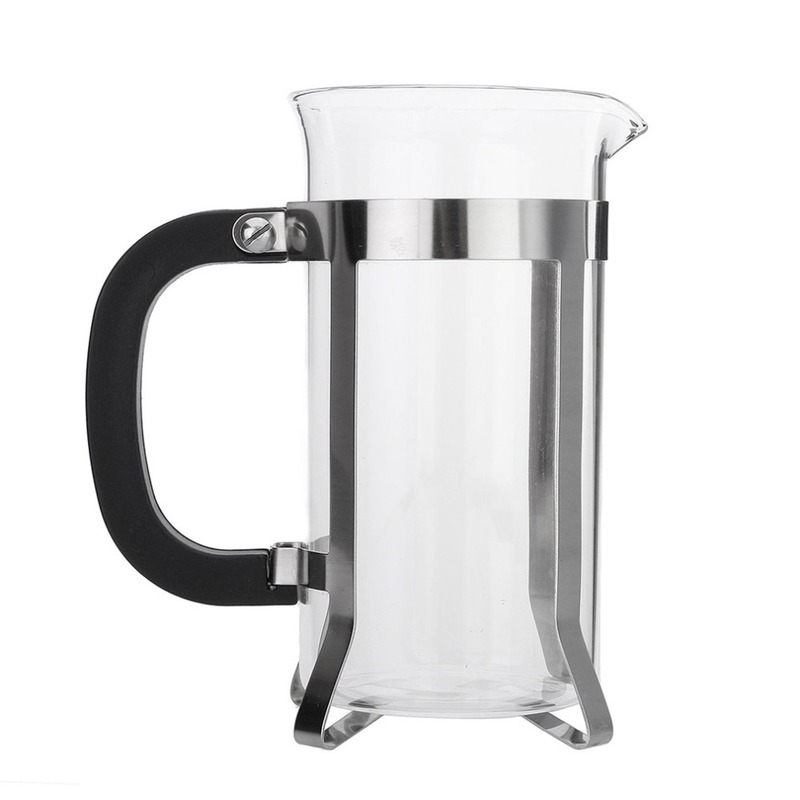 Safe and reliable, crystal clear, easy to clean, do not leave tea stains. 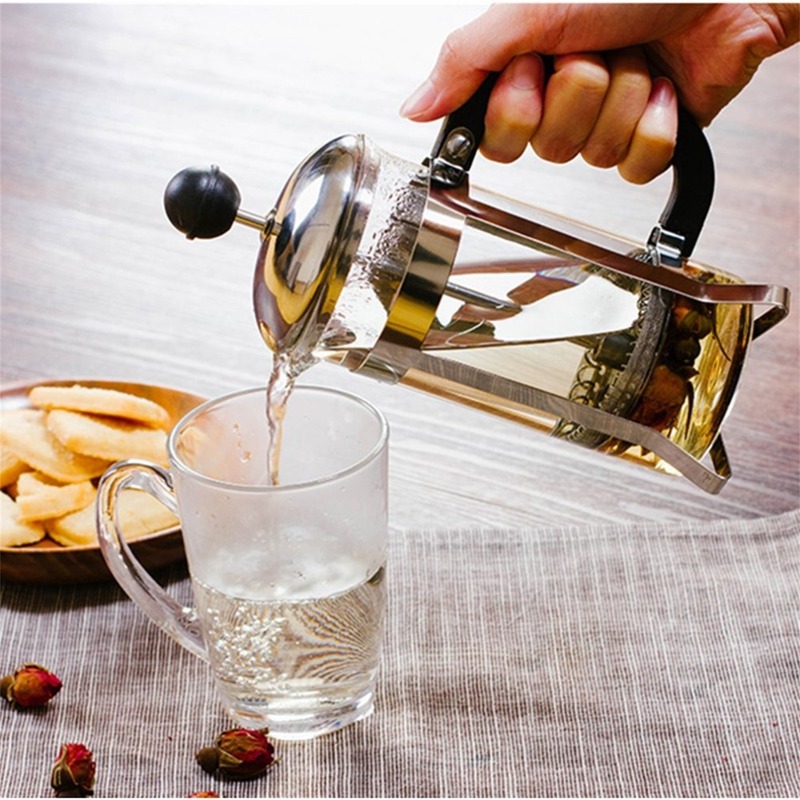 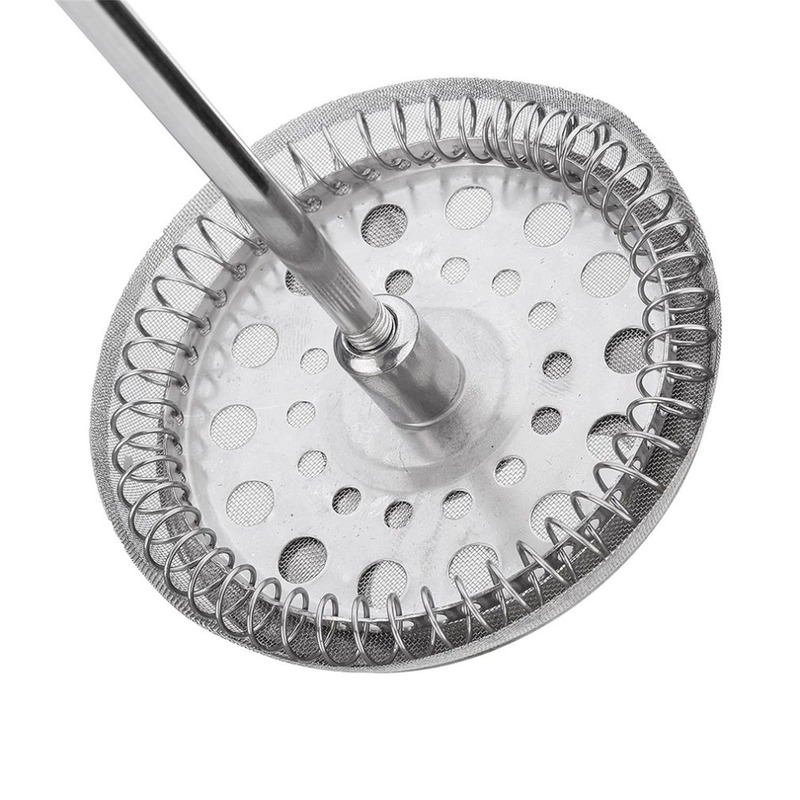 Widely used in coffee, hotel, teahouse, restaurant and other places.